Will’s research integrates studies of prison literature, cognitive linguistics, trauma, and biblical interpretation in prison. He is writing a dissertation on the imprisonment narratives in the Book of Jeremiah. Will studies and teaches at the intersection of prisons, literature, and biblical studies. Since 2001, he has volunteered or worked inside prisons in four states and one federal facility. Will founded and chairs the Prison Literature Permanent Session of the Midwest Modern Language Association. 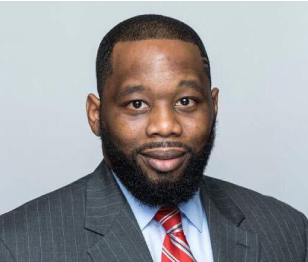 He is also a member of the Illinois Coalition of Higher Education Programs in Prison (IL-CHEPP) and the Correctional Ministries and Chaplains Association (CMCA). In 2016, Will was named a “Woody Guthrie Fellow” by the Broadcast Music Industry Foundation. This allowed him to conduct research in the archives at the Woody Guthrie Center in Tulsa, Oklahoma. Subsequent to his dissertation, Will plans to complete a book on Woody Guthrie’s experiences of incarceration. 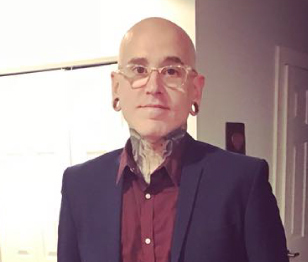 Will has served as a licensed United Methodist pastor and is currently a Lecturer at North Park Theological Seminary’s School of Restorative Arts, a Christian ministry degree program inside Stateville Correctional Center near Joliet, Illinois. He lives with his wife Kristin and son Josiah in the North Lawndale neighborhood on the West Side of Chicago. 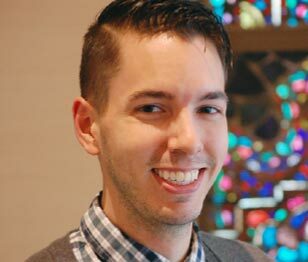 Jared studies the Hebrew Bible and is especially interested in the areas where biblical studies intersects with queer theory and animal studies. He is currently writing his dissertation on Song of Songs. 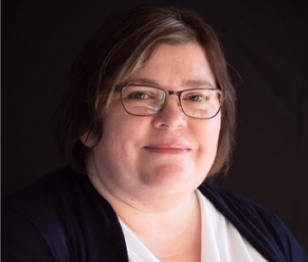 Adjunct Professor, "Interpreting the Hebrew Bible"
Adjunct Professor, "LGBTQ Issues and Biblical Interpretation"
Whitney Bond is currently a third-year PhD student in the field of Theology, Ethics and the Human Sciences at Chicago Theological Seminary. 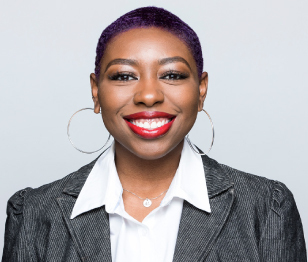 Her research centers on womanist approaches to bridging gaps between pastoral care and practical theology within human sexuality and spiritual spaces for Black bodies, primarily Black Church spaces and queer bodies. 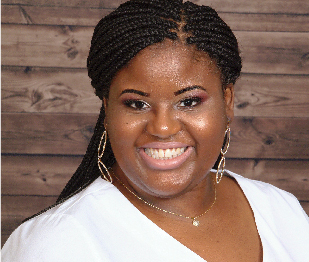 A native of East Saint Louis, Illinois, Whitney is a May 2016 graduate of The Candler School of Theology at Emory University and received her Master of Divinity with a certificate in Black Church Studies. She is also a proud alumna of Spelman College where she received her B.A. degree in Drama with a Concentration in Dance. In the past, Whitney has presented at the American Academy of Religion (2014, 2017, & 2018), served as moderator for both AAR (2015) and the Love Thyself convening (2016). She is a member of the American Academy of Religion, The National Alumnae Association of Spelman College, the Society of Christian Ethics, Women of Color Sexual Health Network, Delta Sigma Theta Sorority, Incorporated, and a board member for the Children of Combahee, . Additionally, she is SafeSpace trained and creator of the apparel line, Unbossed and Unbought. Rachelle's research is focused on the formation of American Theology during the Antebellum period. Critique of historical movements and the construction of theologies in the early 19th century interrogate the debate and boundaries of being human in Christian thought. Professional career includes communications, Interim ministry leadership, teaching, and application of Queer Theology. Rachelle is an amateur photographer and enjoys teaching in various contexts, in person, online, and in small group settings. Adjunct Professor, "North American Religion"
Danielle Buhuro's dissertation research interest is in the area of social media violence, pastoral theology and psychology. 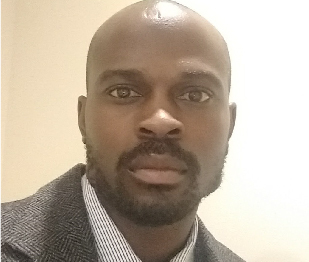 Buhuro currently serves as CPE Supervisor/ACPE Certified Educator at Advocate South Suburban and Trinity Hospitals in Chicago. Teaching Assistant, Introduction to Pastoral Care and Counseling, Dr. Lee H. Butler, Jr.
HyongJu Byon came from South Korea. He is studying in a Ph. D. program in the department of Bible, Culture & Hermeneutics at Chicago Theological Seminary. Recently he attained the status of Ph. D. candidacy, and is writing a dissertation on the Gospel of Mark. His primary study areas are the New Testament, Derrida, Postcolonial Studies, Post-Marxist studies, and Second Temple Judaism. 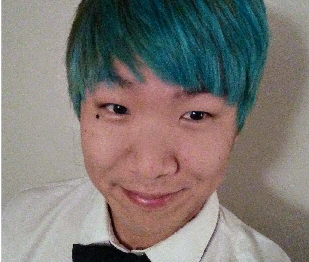 Adjunct Instructor, "Interpreting the Gospels"
Wei-Jen Charing Chen’s research focuses on the interdisciplinary of Hebrew Bible studies, postcolonialism, and queer theories. He delivered a paper entitled “A lesbian-identified hermeneutic re-reading of Paul’s interpretation of Sarah and Hagar in Galatians 4:21-31”, at the SBL 2018 annual conference. Chen also commits to the full inclusion of LGBTQ+ in Christian church setting both in the US and Taiwan's context. First coming out LGBTQ seminarian in Taiwan and the valedictorian of the cohort in 2014. 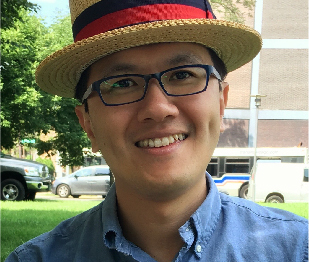 Moderator of Hayward-Boswell Society at CTS (2017-19) Co-leader of Chicago Chapter, The Reformation Project (2018-) Co-founder of Queer Theologians Illinois (2018-) Chapter author of Sexual/Beings III: Queering Hermeneutics in Asian Chinese Contexts (Hong Kong, 2018) Mandarin version translator and text proofing of The Deaf Liberation Theology (Taiwan, 2016) and Signs of Love: A guide for deaf ministry (Taiwan, 2018). 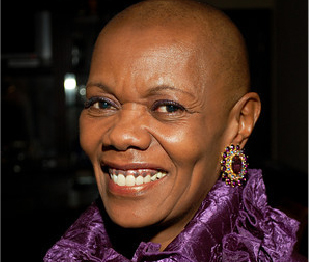 Using American operas to underpin her research, Jean focuses on theology and performance by engaging the interdisciplinary methodologies of Womanist theology, performance studies, and ethnology in the examination of the effects of anthropological poverty on the culture, arts, and religious practices of African Americans. An experienced educator, Jean has taught public school at the elementary, middle, and high school levels. 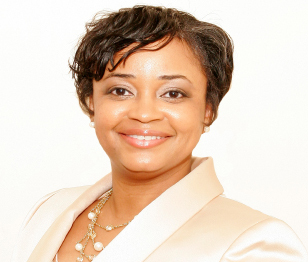 In theological education she has served as Admissions Director, Registrar, Student Advisor, Director of Sustaining Pastoral Excellence Programs, Adjunct and Associate Professor, and Coordinator of Academic Initiatives. Her musical career has included performances in the opera's Porgy and Bess, Margaret Garner, and Harriet Tubman as well as ensemble and solo appearances. She is a workshop presenter, facilitator, and lecturer whose goal is to create safe spaces that can bring about Healing through History. Adjunct Professor, "Womanist Theology, Ecumenical Theological Seminary"
Adjunct Professor, "Samuel DeWitt Proctor Conference Seminarian Experience; Ecumenical Theological Seminary"
Adjunct Professor, "Living/Writing the Vision:Imagining the Possibilities; Ecumenical Theological Seminary"
Adjunct Professor, "Hampton Ministers Conference Seminarian Experience"
Cheryl's research focuses on how Afro-Latinas in parts of Colombia and Peru, speak of God, embrace and embody ancestral spirituality and practices in the face of systemic multiple macro and micro aggressions attributed to regional colonialism, military (national and U.S.) backed/enacted genocide and massacres, forced internal displacement, and statelessness. Preacher-Teacher, Scholar-Activist, Public-Practical Theologian, Cheryl is committed to the work of disrupting, decolonizing, and dismantling global systems and structures that oppress, dehumanize, disenfranchise, and marginalize persons. She has serves as an activist and advocate in parts of Spanish speaking Central and South America, working with and on behalf Afro-descendent and Indigneous persons on issues of racism, land and economic justice, gender disparity, and penal reform. 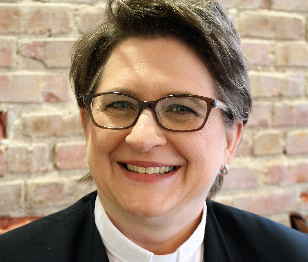 As an ordained Itinerant Elder in the African Methodist Episcopal Church, Cheryl has served Senior leadership and congregations in several capacities, including: Director of Prison Ministries, Director of Social Justice Ministries, Director of Prayer and Spiritual Formation, Crisis Chaplain, and Executive Administrative Assistant. At present she serves as the Executive Administrative Assistant for the Department of Church Growth and Development AME Church Worldwide, the Co-Dean of the Seminar on Church Growth and Evangelism AME Church and on the Ministerial Staff of Cathedral of Grace-St. John AME Church, in Aurora IL where she facilitates the Prayer Ministry and Senior Adult Bible Study. When she is not reading and researching, teaching, preaching, or speaking in public spheres, Cheryl spends her time engaging in advocacy and awareness for Neuroendocrine Pancreatic Cancer, accompanying persons on their journeys for justice, being present with individuals who are in crisis situations and serving as a Death Doula for individuals at the end stages of life. Cheryl enjoys reading, writing, music and the arts, sewing, DIY, photography, and simply being still. As a person living with a severe visual impairment, Thomas is interested in the complex and dynamic ways that disability is constructed and used in biblical texts and contemporary society. Thomas utilizes an interdisciplinary approach in his research by engaging biblical, theological, historical and cultural resources on disability. Thomas is an ordained Elder in the A.M.E. Zion Church. He is active in the ministries of preaching, Christian education and spiritual formation. Currently, Thomas serves as Visiting Instructor in biblical studies at Hood Theological Seminary. He has also served as Adjunct Instructor in Religion at Catawba College. 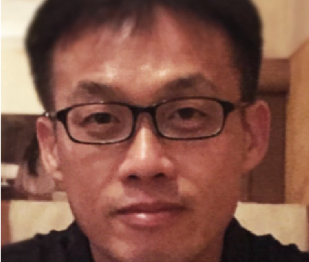 Instructor, "Introduction to the Hebrew Bible/Old Testament"
Instructor, "Disability in the Old Testament"
Instructor, "Theology in the Book of Exodus"
Haeman’s research focuses on theology, race, gender, and sexuality in Asian contexts. He is particularly interested in Womanist Theology. Through a womanist methodology, he critically engages Black Theology, Queer Theology, Asian Liberation Theology, and Liberation Theology in Latin America. He also reinterprets Asian subcultures theologically from womanist and queer perspectives. Haeman was born and raised in South Korea. He is a father of two cats. Although he is not an otaku, he likes Japanese animes, games, pop songs, and novels. He is a member in discernment of United Church of Christ (Philadelphia Association, Pennsylvania Southeast Conference). My research focuses on philosophical theology, especially process theology and liberation theology. This interest leads me to deeper conversation between Alfred N. Whitehead and Karl Marx who influence postmodern thoughts. I am very interested in dialogue between philosophy and theology. Melanie's research engages the scripting and problematizing of the body in Western thought that creates religious and cultural meaning for the present with particular attention to the theological and ethical complexity of Black women’s body politics. Employing methods in womanist theological ethics to analyze sacred texts and Black popular culture, Melanie's dissertation interrogates historical and contemporary distortions of Black women's character manifested in Black religion. Candace’s research focuses on critiquing the institutions of ecology and animal rights from an ecowomanist and anti-speciesist perspective. A critical pedagogy of education and the intersection of human development and spirituality as a holistic understanding of the developing person throughout the life cycle. The research investigates the ways spirituality is addressed by educators of future elementary school teachers and school counselors in human development theory. Her methodology has been an ethnographic study of the ways spirituality is experienced in two human development classrooms. Teaching Assistant, "Psychology of Human Development"
Instructor, "Psychology of Human DevelopmentIns"
Instructor, "Human Development and Faith"
Quincy's research examines Black gay men’s bodies and the 1960s Civil Rights Movement. He explores the life of Bayard Rustin as an epistemological paradigm for heroism, based on the Kierkegaardian concepts of the “leap of faith,” and the biblical Abraham as the “knight of faith.” He plans to critique conventional conceptualizations of Black male identities, and offer a more complex understanding of human sexuality. Reverend Quincy James Rineheart is a Cis queer historian of African American Religion, theologian, academic activist, and teacher. He is a fourth-year Ph.D. student at Chicago Theological Seminary. His doctoral research has afforded him the opportunity to present at Harvard University, Oxford Symposium on Religion at the University Church of St. Mary the Virgin of Oxford, Oxford, England, Morehouse College, Governors State University, among other universities. In addition to his academic responsibilities, Rev. Rineheart is the Scholar-in-Residence for the Samuel DeWitt Proctor Conference, Inc. and the Micah Institute-Economic Justice Fellow. Rev. Rineheart served as the first African American Interim Pastor of Immanuel United Church of Christ in Streamwood, Illinois. He currently serves as a board member of the Chicago Black Gay Men's Caucus. He is also the Convenor of the Bayard Rustin Society and Co-Convenor of the PhD Student Association at Chicago Theological Seminary. 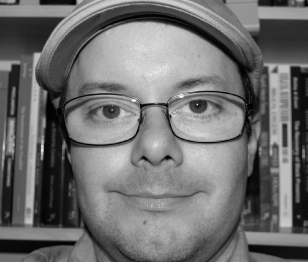 Zach's research is centered on the textual traditions of the Hebrew Bible, politico-aesthetic theory from the Frankfurt School to Fredric Jameson, and the importance of historiography in the articulation of social formations in ancient Israel and modern receptions of biblical texts. Zaynab's research focuses on comparative queer-feminist pedagogies of solidarity between Jewish and Muslim American communities. She's interested in the implications of women and LGBTQ folks wanting to assume greater responsibility within the terrain of obligatory religious ritual. She's interested in articulating a comparative analysis of gender, ritual obligation, and constructions of orthodoxy within Jewish and Islamic law to forge a larger terrain of solidarity. Zaynab received her B.A in Jewish Studies from Hampshire College, focusing on both Historical Anti-Semitism and the academic study of gender and Judaism. She received her M.A in Religious Studies from Chicago Theological Seminary, focusing on philosophy of religion and Islamic Studies. Marsha’s research focuses on the influence of white nationalism on the formation of non-intersectional white feminism. 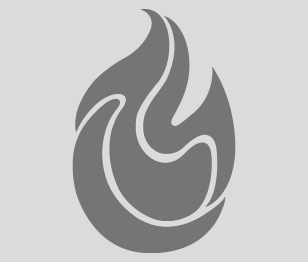 Marsha lives in Wauwatosa, Wisconsin, and is currently serving as the Religious Education Coordinator for Unitarian Universalist Church West, in Brookfield, Wisconsin. 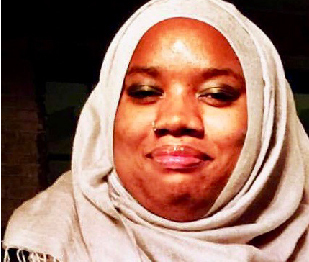 She is active in Milwaukee Inner City Congregations Allied for Hope, or MICAH, serving on both it’s Milwaukee Public Schools Action committee, and its Prison Reform Steering committee. Marsha also serves as a trained public moderator with the Frank Zeidler Center for Public Discussion, where she has moderated “Police and Resident Circles,” several community talk backs in cooperation with the Milwaukee Repretory Theater, as well as Title IX training break-out sessions in conjunction with Milwaukee Area Technical College. Marsha is “mom” to two adult humans, two cats, and one obnoxious, yet endearing dog. Monte's research focuses on positive psychology's "authoritative community" builds strengths that mold young people into formidable leaders for the next. He is concerned with the human development aspect, neglected in ministry, but seen through a psychoanalytic lens is a key aspect to a 21st century pastoral psychology approach that an embodied existence is affected by context for any meaningful human development especially for leadership emergence. 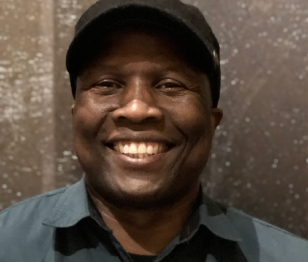 Monte is a youth pastor by profession and came back to school in order to gain the credentials to allow him to develop new ways of teaching seminarians how to build functional, compassionate, and holistic family and youth ministries. 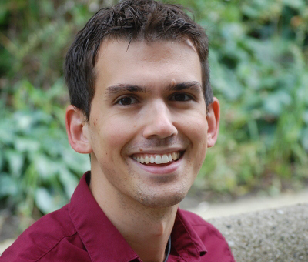 Having experienced the crises that arise when a minister leaves the seminary without the faintest idea of what to do with a young person in their church, Monte's focus now is to make sure that he capacitates ministers so that they are able to use pastoral psychology informed approaches in what he now terms "family and youth ministry" instead of the traditional "youth ministry" only. He is both in the church and in the academy as he believes that one has to teach what one has experienced as a solution that works as demanded by practical theology, the main branch of what he deals with both in the academy and in the church. His experience in many positions in various churches over the globe as Director of Children and Youth Ministry is his anchor as he goes about his current work, research and study. Shea's research focuses on theology and cultural criticism, with an emphasis on the relationship between religious and political experiences and the body. 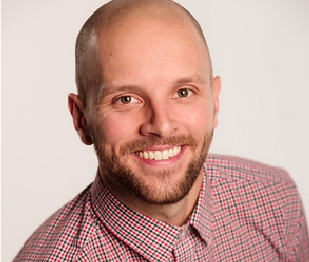 In addition to his research, Shea is a worship leader, songwriter, and studio musician. He now lives in Charlotte, NC with his wife, Kathryn, and two cats, Sophie and Curly.